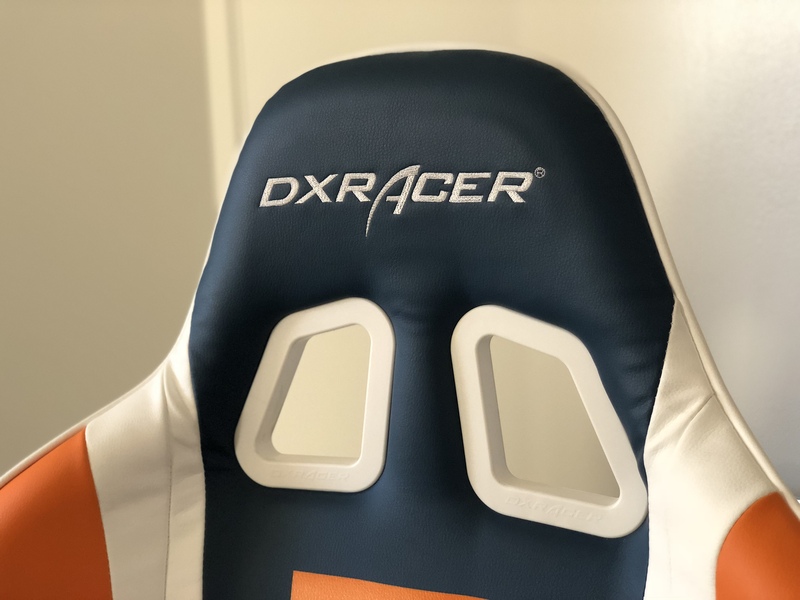 As fellow racing fans, it’s with great pride we welcome DXRacer as the official chair partner of Gamers for Giving 2018! 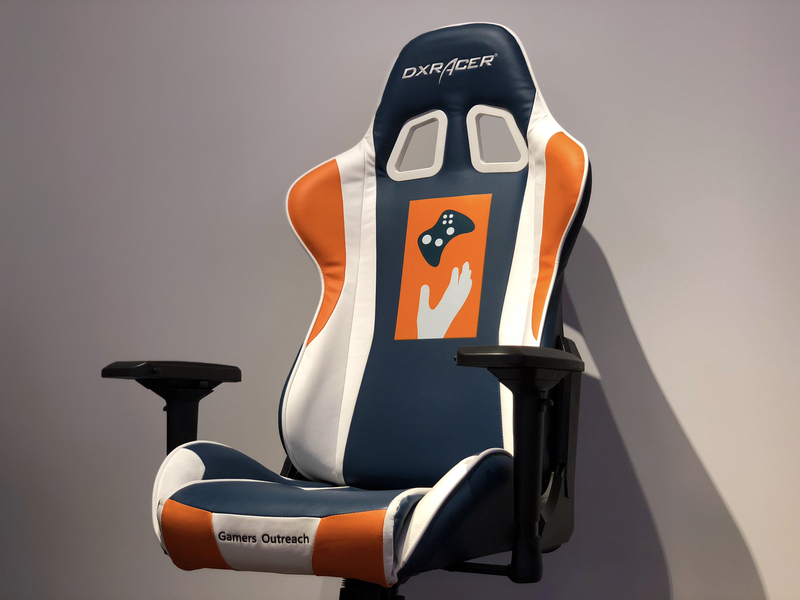 For the last five years, DXRacer has supported Gamers Outreach as our exclusive seating provider. 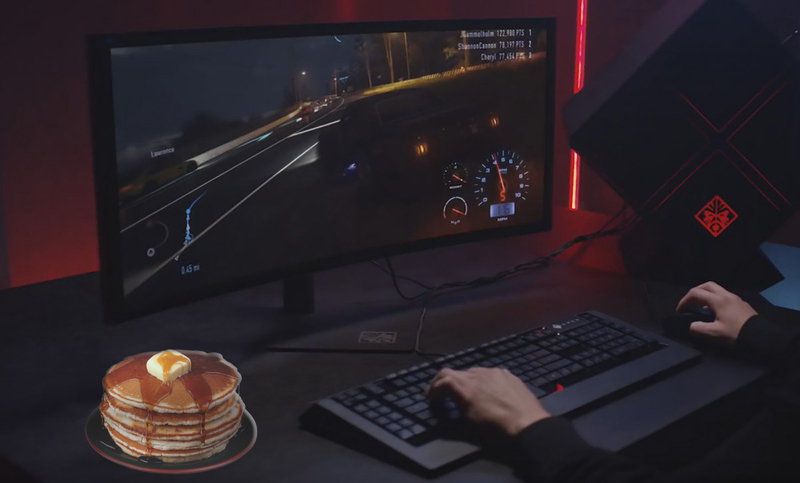 Their chairs are known for having a race car aesthetic, but are also ergonomically designed to ensure comfort and proper posture during late night gaming sessions. DXRacer is also local to Ann Arbor, Michigan – which makes us all the more grateful to have their support as we create an incredible experience for this year’s attendees. DXRacer will be outfitting our stream lounge with product, and will also be staffing a small booth at the event for attendees interested in speaking with their representatives. Be sure to swing by, say hello, and thank them for their five years of support! You can keep up with the latest DXRacer news by following them on Twitter and Facebook! We’ll see you on April 28th & 29th at the EMU Convocation Center! Good guy Discord. Over the last few years, Discord has become the chat platform for gamers. We’ve used it ourselves as a hub for the Gamers Outreach community, and it’s been a wonderful resource for staying in touch with our supporters year-to-year. 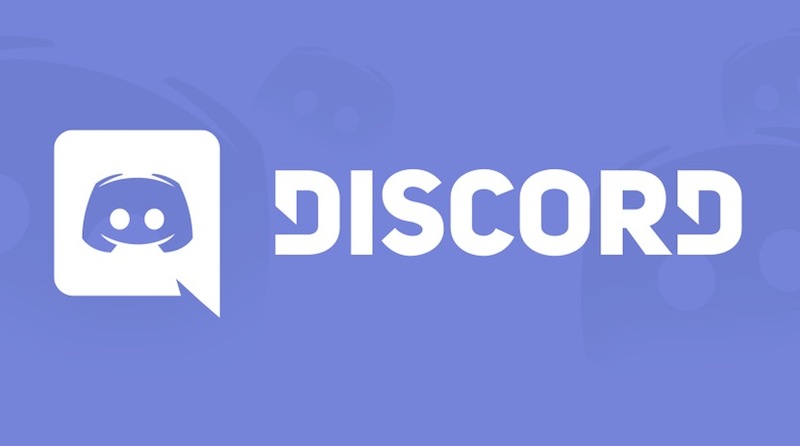 With that in mind, it’s with great excitement we welcome Discord to Gamers for Giving 2018 as an official sponsor! Want to interact with fellow Gamers for Giving attendees? Looking for an extra ticket? Need an additional teammate to compete in one of the console tournaments? You should join our Discord server! The Gamers Outreach Discord server is a gathering place for all our attendees and staff to share news of Gamers Outreach programs + Gamers for Giving event activities throughout the year. Throughout Gamers for Giving, our staff will be making use of the Discord server to convey important announcements, relay tournament information, and provide you with an outlet to communicate with other attendees. This server is especially important for PC gamers participating in the LAN. Many of our event announcements will be conveyed through Discord, so be sure to join the server and get prepared for this year’s event! We’ll see you on April 28th & 29th at the EMU Convocation Center! Be sure to give Discord some love on Twitter and Facebook! Competing in one of our headline tournaments? How would you like to win free burritos for a year? Great! 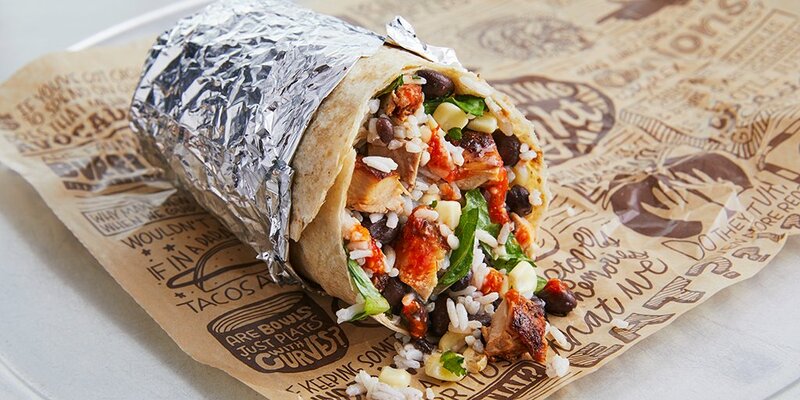 Because that’s exactly what you’ll take home thanks to our newest partner, Chipotle! Yes, you read that correctly! All players that finish in 1st place during one of our headline tournaments will also receive a special gift from Chipotle – FREE BURRITOS FOR A YEAR! We’re excited to welcome Chipotle to Gamers for Giving as a sponsor of our cause. Even if you’re not competing in any of our tournaments, attendees can expect to walk home with a bit of Chipotle swag thanks to our newly crafted partnership. Unable to attend the event in person? Don’t worry, you’ll still have plenty of opportunities to win some Chipotle goodness through one of our stream broadcasts during the weekend. Be sure to give Chipotle some love on Facebook and Twitter! We look forward to chowing down with you all on April 28th & 29th! Everyone loves winning stuff. You know what goes well with winning stuff? Helping to support a great cause. At Gamers for Giving 2018, you’ll be able to do both! During this year’s event, we’ll be accepting donations and selling raffle tickets to fulfill our $350K fundraising quest! Our loot table is the largest it’s ever been, and we can’t wait for you to see the amazing goodies available to win! Tickets will be sold for $5 each, or you can purchase a batch of five for $20. There is no limit to how many raffle tickets you can purchase, and attendees are allowed to win multiple prizes. 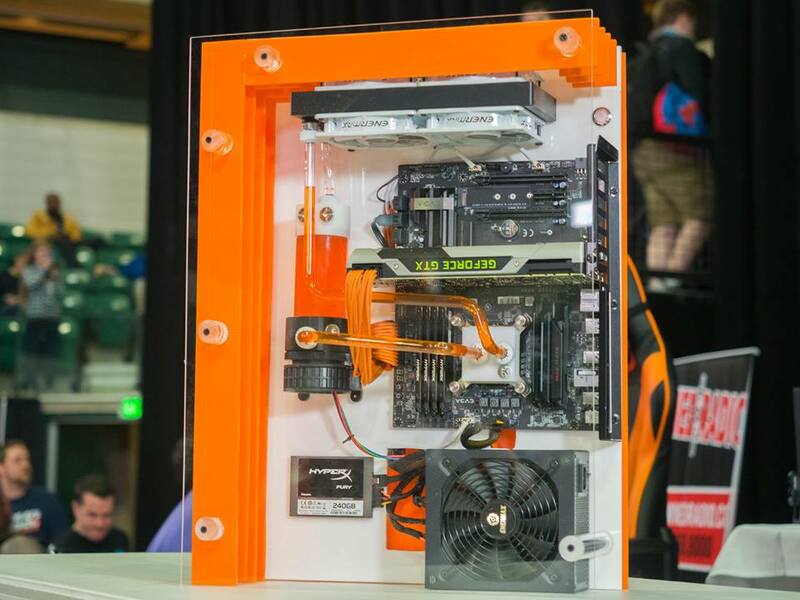 While we can’t spoil all the details, the grand prize of this year’s on-site raffle will be a fully-built custom gaming PC, constructed by James Fislar of FortLAN! 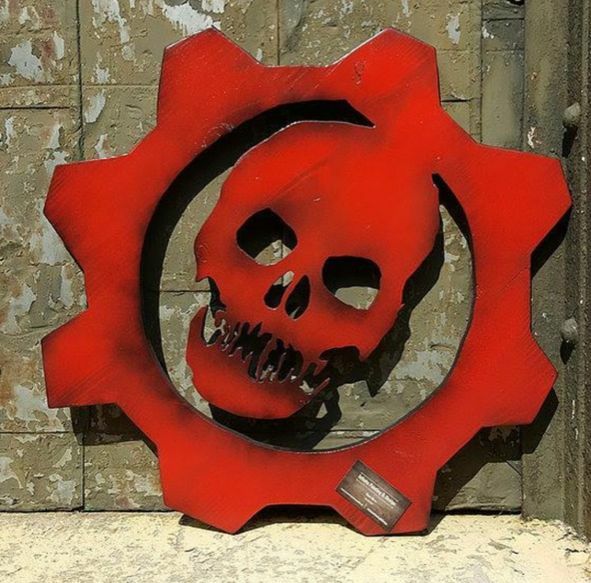 We’ve also got a ton of hardware goodies being provided by our sponsors, as well as a few one-of-a-kind collector’s items being donated by our community, such as the below Gears of War emblem built by Infinite Painting Design. You’ll definitely want in on this year’s drawing! Tickets can be purchased throughout the weekend until 7 PM on Sunday, at which time the raffle drawing will take place. The Gamers Outreach booth will be located in the atrium this year. Be sure to swing by to learn about our cause and how you can support! We’ll see you on April 28th & 29th at the EMU Convocation Center! For any of our supporters who cover gaming news: we’ve just pushed out the official Gamers for Giving 2018 press release! Taking place on April 28th and 29th, we’ll be chasing down a $350,000 fundraising goal in support of providing entertainment devices to hospitalized children. Incredibly, that amount could double with help from our friends at PlayerUnknown’s Battlegrounds. If you’d like to cover this year’s Gamers for Giving, you can direct inquiries to our general email address – contact@gamersoutreach.org. We hope to have you with us on April 28th & 29th! MICHIGAN – April 10, 2018 – Gamers Outreach Foundation, (Gamers Outreach) a 501(c)(3) organization, today announced its 10th annual Gamers for Giving fundraiser event. Taking place at the Eastern Michigan University Convocation Center on April 28th and 29th, Gamers for Giving will bring together hundreds of video gamers, streamers and esports pros for a LAN party to help raise funds that provide hospitalized children with in-hospital recreation through video games. This milestone event is sure to be the organization’s biggest success, with a goal of raising $350,000 that could double to $700,000 thanks to a sponsor-matching commitment from PlayerUnknown’s Battlegrounds. 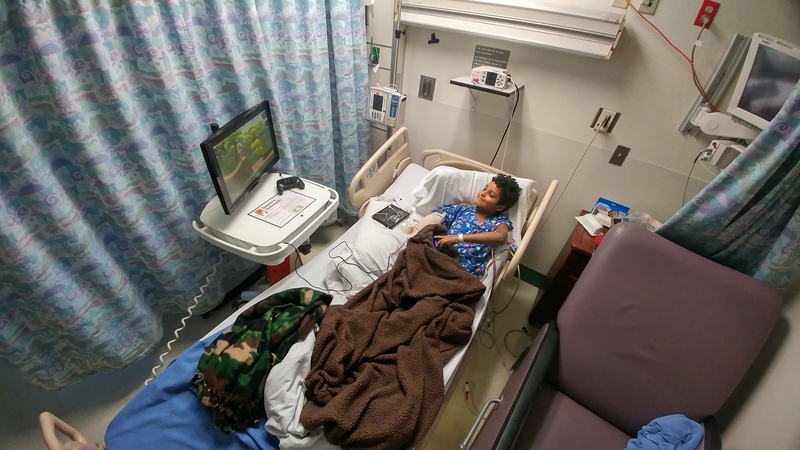 Through the fundraising achieved at Gamers for Giving, the organization constructs portable, medical-grade video game kiosks called “GO Karts” (Gamers Outreach Karts) that provide equipment, technology and software to help hospitalized kids cope with long-term treatment. Through these GO Karts, children can play video games, watch movies, or socialize with friends and family who are outside the hospital. GO Karts currently support children in more than 40 hospitals throughout the country, with expectation to be in nearly 200 hospitals by mid-2018. Gamers for Giving will stream live at Twitch.tv/GamersOutreach and feature tournaments for PUBG, Overwatch, League of Legends, CS:GO, Hearthstone, Rocket League, Starcraft II, Halo 5, Call of Duty WWII, and Super Smash Bros. Melee. Notable video game community members in attendance will be live streamers GoldGlove, MsVixen, VernNotice; and esports personalities Walshy, SirScoots, and Goldenboy. For a full list of streamers in attendance, please visit this webpage: gamersforgiving.org/streamschedule. Anyone can participate in Gamers for Giving by making donations through the stream or hosting their own fundraising campaign through the Gamers Outreach fundraising portal: fundraise.gamersoutreach.org. As gamers, we’re well aware high quality audio hardware makes all the difference during competitive play. What you might not be aware of is how much of today’s modern audio technology is powered by DTS. Since 1993, DTS has been dedicated to making the world sound better. Perhaps analogous to “Intel Inside,” DTS technology is a driving force behind many of today’s leading surround sound devices. Their audio solutions are integrated in more than two billion devices globally, including mobile, home theater systems, cinema, and beyond. DTS will be joining us for their first ever Gamers for Giving event, and they’re bringing along a ton of goodies for attendees and online donors. DTS partners include many of your favorite brands such as SteelSeries and Logitech – so you can definitely expect some epic giveaways during this year’s event! As an added bonus: DTS will be providing a pancake breakfast to all ticketed LAN attendees on Sunday morning from 9 AM – 11 AM! If you’re driving down from Canada, please do us all a favor and bring along some of that delicious maple syrup. We’ve also added a pancake emoji to our Discord channel (:DTSpancake:) to help spread DTS pancake hype. Be sure to give DTS some love on Twitter and Facebook, and check out their latest technologies at https://dts.com/. We’ll see you on April 28th and 29th at the EMU Convocation Center! And don’t forget, if you can’t join in person, we’ll be streaming live all weekend on Twitch.tv/GamersOutreach! Over the years, we’ve been fortunate to have met a number of generous people in gaming. One such group at the top of our list is the crew from Lightstream. 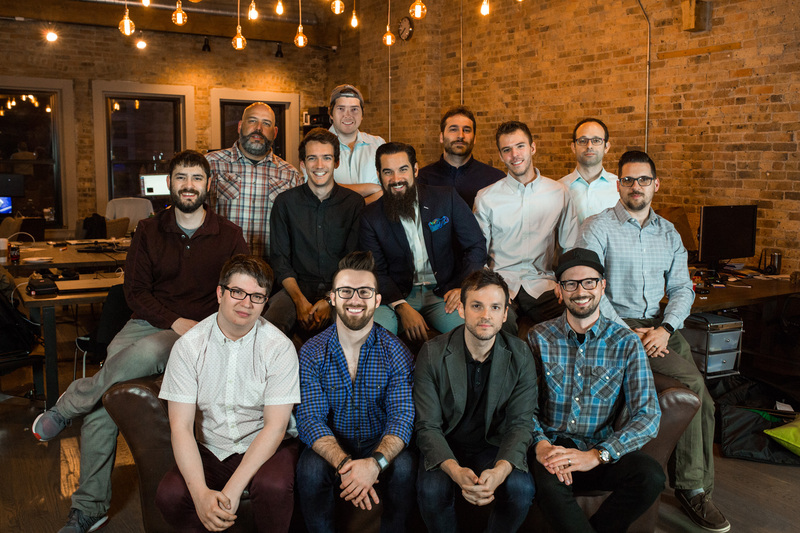 If you’re not already familiar, the people at Lightstream are a collection of industry veterans who’ve been making content creation easier and more accessible than ever before. Their broadcast studio is an intuitive platform that empowers gamers to quickly stream their own gameplay through websites like YouTube, Twitch, and Facebook. Lightstream has been a longtime supporter of Gamers for Giving and has made a tremendous difference helping us expand the impact of our programs. Last year, Lightstream helped pioneer the deployment of our newly launched GO Karts within Seattle Children’s Hospital – committing more than $12,000 towards a fundraising campaign by Aaron Greenberg. Their enthusiasm for our cause has been inspiring, and words can’t adequately express how thankful we are to have their support! Lightstream is joining us once again at this year’s Gamers for Giving! If you’re curious to learn more about their platform, or want to get started as a streamer, feel free to say hello to their friendly staff! They’ll be located at the front of this year’s streamer corral. Be sure to give them a shout on Twitter and Facebook! We’ll see you on April 28th and 29th at the EMU Convocation Center! PUBG Corp to match community donations during 10th annual Gamers for Giving fundraiser. LOS ANGELES, Calif. – April 2, 2018 – Gamers Outreach Foundation (Gamers Outreach), a 501(c)(3) organization, today announced a partnership with PUBG Corp. the creators of PlayerUnknown’s Battlegrounds (PUBG) in support of Gamers Outreach’s mission to help hospitalized children through the power of interactive play. PUBG Corp. has committed to donating up to $350,000 as part of this collaborative effort with Gamers Outreach, with a potential to raise up to $700,000.00 USD through donation matching in support of Gamers Outreach’s two primary initiatives: Project GO Kart and Player 2. The two organizations are working together in support of Gamers Outreach’s 10th annual Gamers for Giving fundraiser, a LAN party and streaming marathon. Ticket sales and donations will grow the impact of the non-profit’s Project GO Kart and Player 2 programs, which help ensure video games and recreation are accessible and manageable to kids undergoing treatment within hospitals. 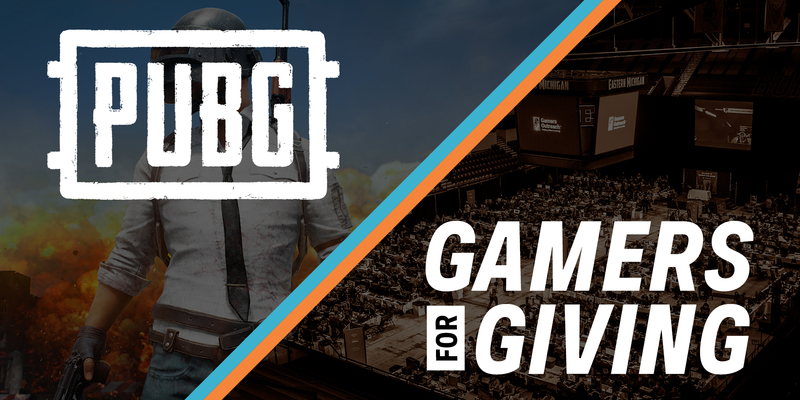 Earlier this year PUBG Corp. announced their plans to allocate $2 million from its 2017’s Gamescom Invitational Crate Key sales to charity campaigns in 2018, with Gamers for Giving being a focus of the company’s philanthropic efforts. 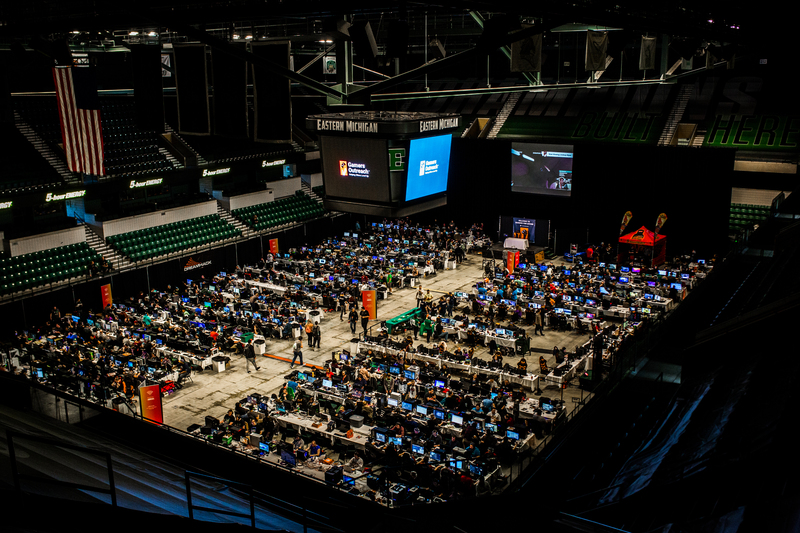 Gamers for Giving 2018 will take place on April 28th and 29th at the Eastern Michigan University Convocation Center. The event will be streamed live on Twitch.tv/GamersOutreach in partnership with a variety of influential content creators and personalities from the video game industry. Tickets are available to the general public; and anyone with interest in supporting the cause can donate directly or find information to fundraise at www.GamersforGiving.org. PUBG Corp. is a Seoul, Korea-based studio focused entirely on development and business opportunities for PlayerUnknown’s Battlegrounds, and was formed as a subsidiary of Bluehole in early 2017. Catapulting onto the scene, PUBG has captured global attention, shattering multiple world records, winning industry awards, and continuing to grow and foster its multi-million user fanbase. For more information, visit https://playbattlegrounds.com/main.pu. Gamers for Giving 2018 – 4 Weeks Away! That special time of year is quickly approaching – Gamers for Giving 2018 is just under 4 weeks away!! 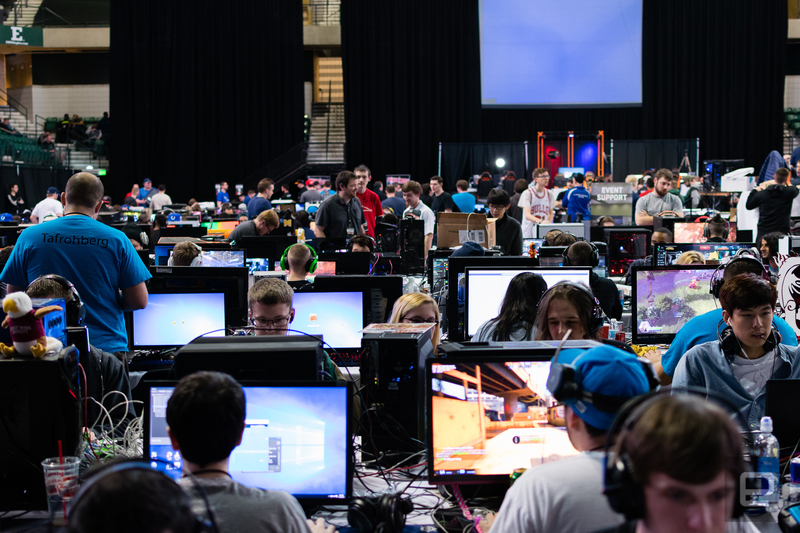 While LAN seats are entirely sold out, passes still remain for those who wish to compete in our console tournaments for Halo, Call of Duty, and Super Smash Bros Melee. All tickets are sold through our friends at LANFest, and can be purchased here. Our team is busy working behind-the-scenes to ensure this year’s event is an incredible experience for everyone – those attending in person, and those watching online. Between now and the big weekend, we’ll be rolling out a number of announcements related to our fundraising plans, special guests, and how you can support the cause! Be sure to check the Gamers for Giving website frequently, as we’ll be publishing multiple blog posts per week leading up to the event. We look forward to seeing you on April 28th & 29th at the EMU Convocation Center! A familiar rallying cry to any Michigan native who’s attended a Pistons’ basketball game. As a Midwest-born community, we’re proud to announce the Detroit Pistons organization will be joining us at this year’s Gamers for Giving through their new esports branch – Pistons GT. 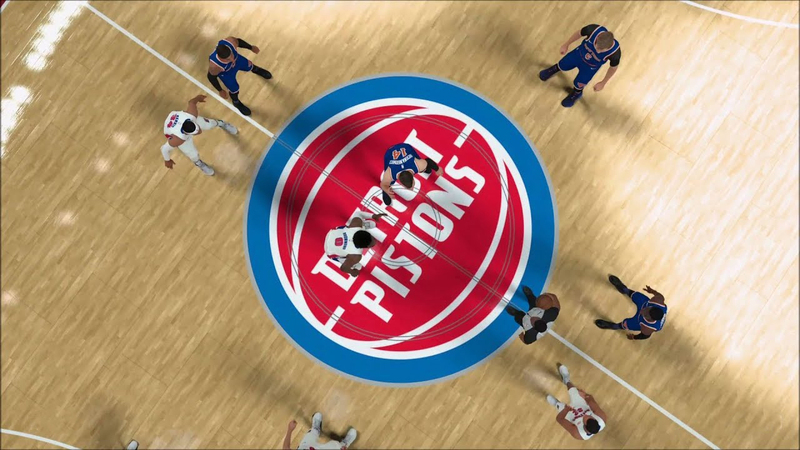 The Pistons GT are the franchise representatives for the new NBA 2K League, kicking off this coming May. As a sponsor of Gamers for Giving, we’re proud to help raise awareness of the Pistons GT brand, and the franchise’s overall support for the gaming community. Expect some NBA 2K love during this year’s event, as well as a number of exciting giveaways for attendees and online donors. You can also keep up with the latest news surrounding the Pistons GT on their official website here, or through their Twitter and Facebook pages. 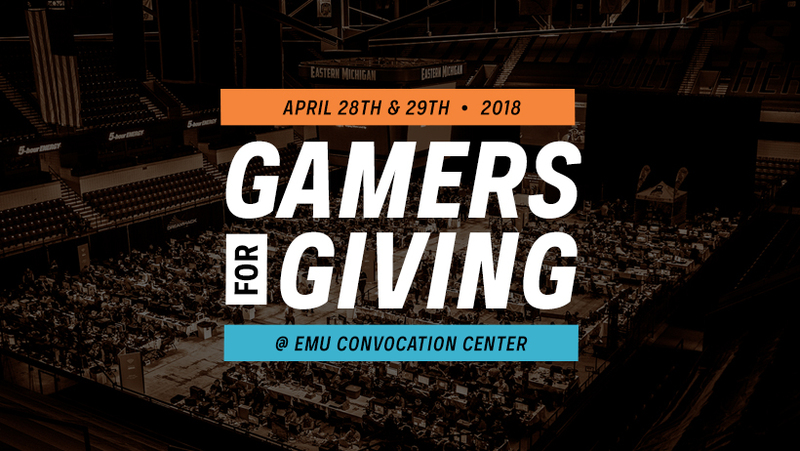 We look forward to seeing you at Gamers for Giving on April 28th and 29th at the EMU Convocation Center!